Celebrating the life of Odell Tidwell, Jr.
Be the first to share your favorite memory, photo or story of Odell. This memorial page is dedicated for family, friends and future generations to celebrate the life of their loved one. Obituary for Odell Tidwell, Jr.
Odell Tidwell, Jr. was born March 2, 1951, 645 Buntyn St., Memphis, TN to the late Odell Tidwell Sr. and Earline Tidwell. Odell was number three of the seven children born to this couple and was affectionately known as “Ba Brother.” Odell was preceded in death by his brother Napoleon and his sister Hazel. Odell was a proud member of the Melrose Class of 1969 and the 12 Year Society, attending Melrose from first grade thru the 12th grade. After graduating Melrose, Odell joined the military and served in the Air Force. He later attended Shelby State Community College and Memphis State University. Odell accepted Christ as his personal savior August 21, 1963; was baptized and became a member of Prospect CME Church where he sang in the male chorus and did all the things Earline required of all her children. After his mom’s death, he strayed from the church. He reaffirmed his faith under the leadership of his brother, Rev. Otis Tidwell, and served at Twelve Gates Temple until his death. Odell’s quick wit and charm had a tremendous impact on all that met him. He had an uncanny ability to make one laugh at the most inopportune moment. More specifically, Odell loved to entertain which lead him to his most rewarding profession. He started with a record shop; next, he opened First Place which led to Tidwell’s Uptown in downtown Memphis. Uptown served one community while Tidwell’s Private Suite on Elvis Presley catered to a different crowd. He then moved his business to Hickory Hill with Sneaky Pete’s. His next venture was Memphis Nites which has been serving the Memphis Community for several years. Odell was a devoted husband, father, and grandfather. Odell and Peggy were united in marriage August 8, 1985. The two loved to entertain and travel. Odell was called to eternal rest April 1, 2019. He leaves to cherish his memory, his wife, Mary, his sons Shaun Tidwell (Alisha), Houston Chaffin (Andrea); five grandchildren, Keenan Tidwell, Sharnel Tidwell, Brandon Tidwell, Madison Tidwell, Damoni Tidwell, Houston Chaffin III and Jhordan Chaffin; one great-grandchild, Jerry, three brothers, Sammy Tidwell (Barbara), Tyrone Tidwell (Francille), and Otis Tidwell (Beverly); one sister, Evelyn Tidwell Story (William Story); special friend and employee, Aaron J. Garcia; and a host of nieces, nephews and cousins. He will always be remembered for his extraordinary sense of humor, wit, wisdom, and compassion towards all people. To send flowers or a remembrance gift to the family of Odell Tidwell, Jr., please visit our Tribute Store. 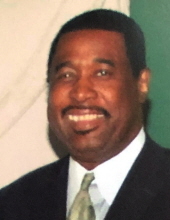 "Email Address" would like to share the life celebration of Odell Tidwell, Jr.. Click on the "link" to go to share a favorite memory or leave a condolence message for the family.